Watch DCO's Karen Lloyd (University of Tennessee Knoxville, USA) deliver a TED talk on the nature of the deep subsurface biosphere, recorded in October 2017 in Milan, Italy. This month's newsletter highlights results from four DCO crosscutting activities (modeling and visualization, field studies, instrumentation, and data science), which complement DCO's four Science Communities (Extreme Physics and Chemistry, Reservoirs and Fluxes, Deep Energy, and Deep Life). New clumped isotope analyses indicate a hot and deep origin for methane at seafloor hot springs in unsedimented oceanic crust, according to a new paper by DCO members David Wang (formerly at Massachusetts Institute of Technology, USA), Eoghan Reeves (University of Bergen, Norway), Jill McDermott (Lehigh University, USA), Jeffrey Seewald (Woods Hole Oceanographic Institution, USA), and Shuhei Ono (Massachusetts Institute of Technology, USA). Without sediment, methane had to be derived from another source and the new data demonstrate it equilibrated at high temperatures. This important finding was made possible by a novel tunable infrared laser direct absorption spectroscopy instrument, which was developed with support from the Deep Carbon Observatory. A modeling and visualization study by DCO members Dietmar Müller and Adriana Dutkiewicz (both at the University of Sydney, Australia) demonstrates that the oceanic crust-mantle carbon cycle is a previously overlooked mechanism connecting plate tectonic pulsing with fluctuations in atmospheric carbon and surface environments. 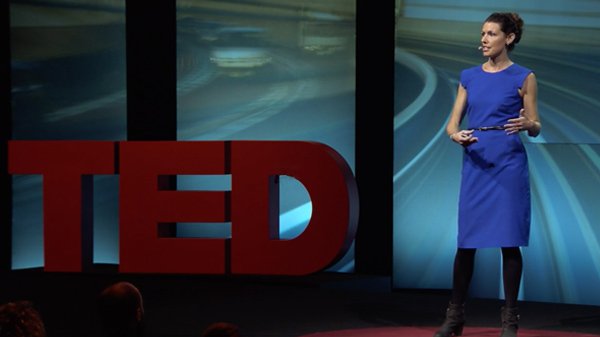 Speaking of deep life, DCO’s Karen Lloyd (University of Tennessee, USA) delivered a TED talk on deep subsurface microbes, providing an engaging introduction to an ecosystem with a fundamentally different relationship with time and energy than surface life. The DCO Data Science Team received a grant to improve data curation and research reproducibility, which could greatly increase the recognition and reuse of DCO legacy products. Many opportunities exist for DCO members to share their knowledge with the larger scientific community. Please consider submitting abstracts to a plethora of sessions of special interest to DCO at the 2018 Goldschmidt Conference in Boston, USA (abstract deadline: 30 March 2018). You might also consider organizing deep carbon science sessions at the 2018 AGU Fall Meeting in Washington, DC, USA (session proposal deadline: 18 April 2018). And the application window is now open (deadline: 20 May 2018) to attend the inaugural Gordon Research Conference on Deep Carbon Science. Last but not least, congratulations to Craig Manning (UCLA, USA) and Dan Frost (University of Bayreuth, Germany) for their election as fellows of the Geochemical Society and the European Association of Geochemistry. During this webinar, Samantha Weald (Wiki Education) will discuss content gaps on Wikipedia, highlighting learning benefits for students and scholars, and details about Wiki Education's suite of tools, trainings, and available Wikipedia expertise. The candidate will be part of the volcanology group of the “Laboratoire Magmas & Volcans.” Research activities will be focused on physical and socioeconomic impacts of volcanic events, hazard–risk evaluation, vulnerability resilience assessment, and risk/hazard communication strategies. The candidate will be required to develop collaborative projects with other laboratories. Our aim is to recruit an experienced specialist in the area of volcanic hazards with recognized international experience. A postdoctoral position in molecular microbial ecology is available at the Marine Biological Laboratory, Woods Hole. This US National Science Foundation-funded collaborative project with the Woods Hole Oceanographic Institution seeks to identify the nature of microbial predator-prey interactions using laboratory chemostats combined with RNA stable isotope probing, sequencing, and trait-based modeling. We are seeking an individual with expertise in molecular microbial ecology, including those with interests in microbial, viral, and eukaryotic dynamics, microbial food webs, and theoretical ecology. While the primary focus of the work will be in research, the postdoctoral investigator will have an opportunity to participate in educational and outreach activities associated with the project. The Department of Geology at the Ecole Normale Supérieure de Lyon, France invites applications for a postdoctoral position in the field of physical volcanology. This is a 12-month contract funded by the IDEX Lyon that could be extended for another six months by the ENS Lyon. The position must be filled before the end of the year 2018. The aim of the postdoctoral work will be to study the primitive magmatic processes acting during the early times of the terrestrial planets. The main focus will be investigating the link between impact cratering and magmatism using mechanical models of magma ascent below craters and the analysis of available remote-sensing observations on the terrestrial planets (the Moon, Mars, and Mercury). Applications are invited for a NASA-funded PhD studentship in the Department of Geological and Mining Engineering and Sciences at Michigan Technological University. The student will be trained to use a suite of NASA satellite observations to detect and quantify volcanic emissions of sulfur dioxide and other trace gases, to advance understanding of volcanic processes and the atmospheric, environmental, and health impacts of volcanic degassing. The project will involve close collaboration with scientists at NASA Goddard Space Flight Center in Greenbelt, MD, USA. Up to three years of PhD student support is available; PhD students are encouraged to apply for other fellowships and small grants to supplement their funding.